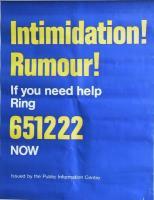 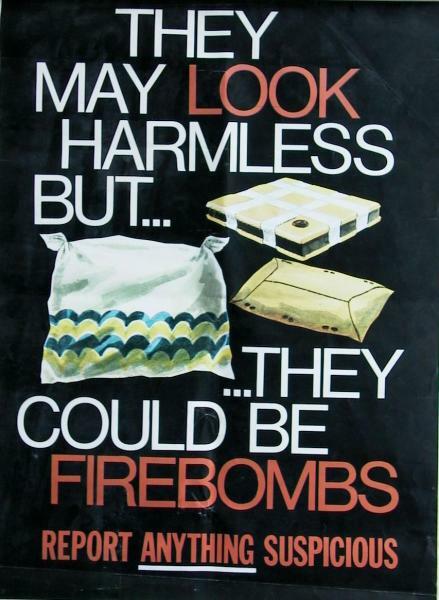 Description: An example of one of the posters produced to remind people to be alert for 'firebombs' / incendiary devices. 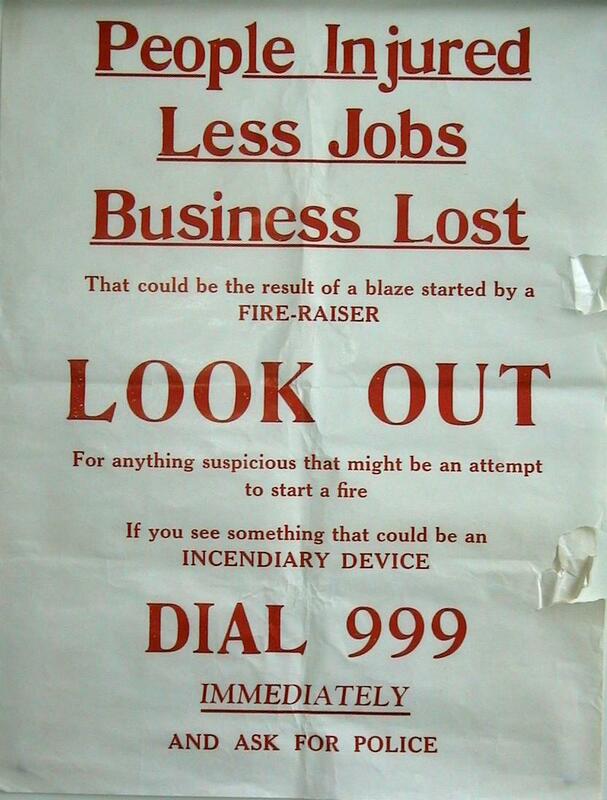 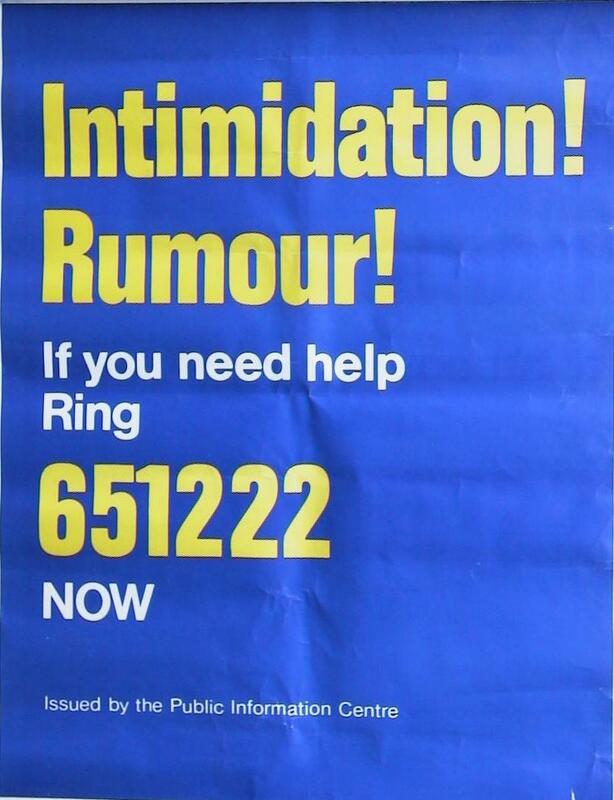 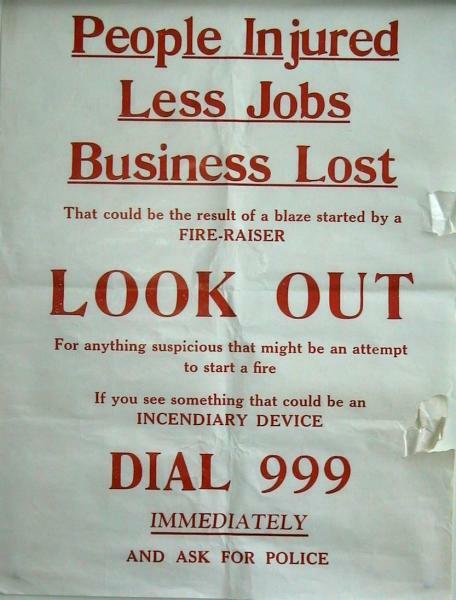 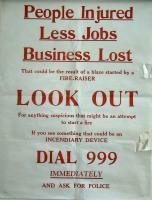 Description: An example of one of the posters produced to remind people to be alert for firebombs / incendiary devices. 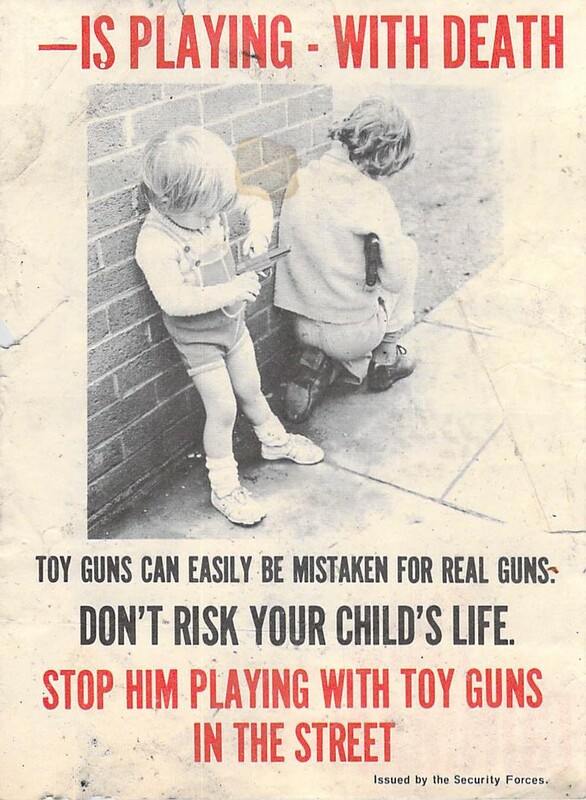 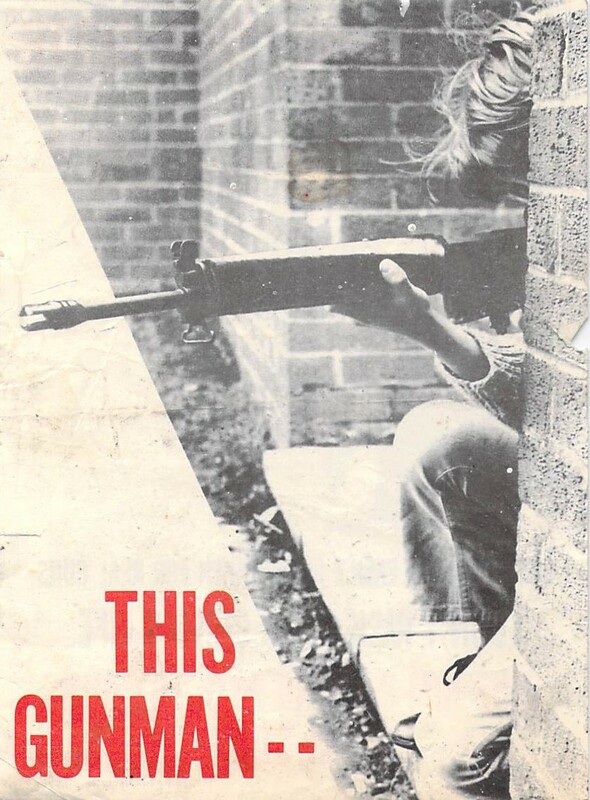 Description: A two-page (double-sided) leaflet issued by the 'Security Forces' warning parents about the dangers of allowing children to play with toy guns.